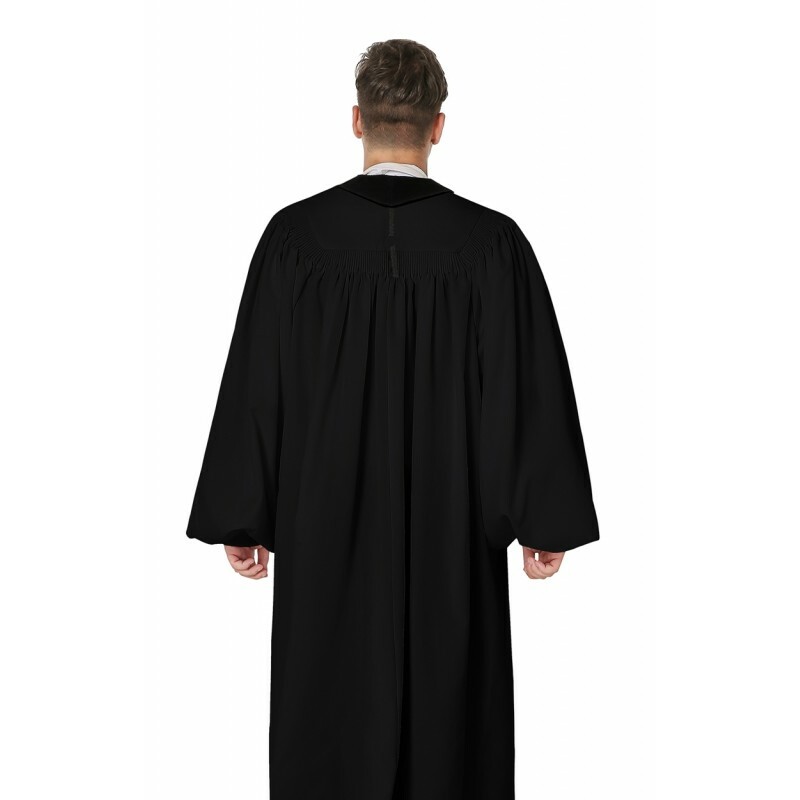 John Wesley Clergy Robe is the favorite clergy robe for men and woven pulpit. 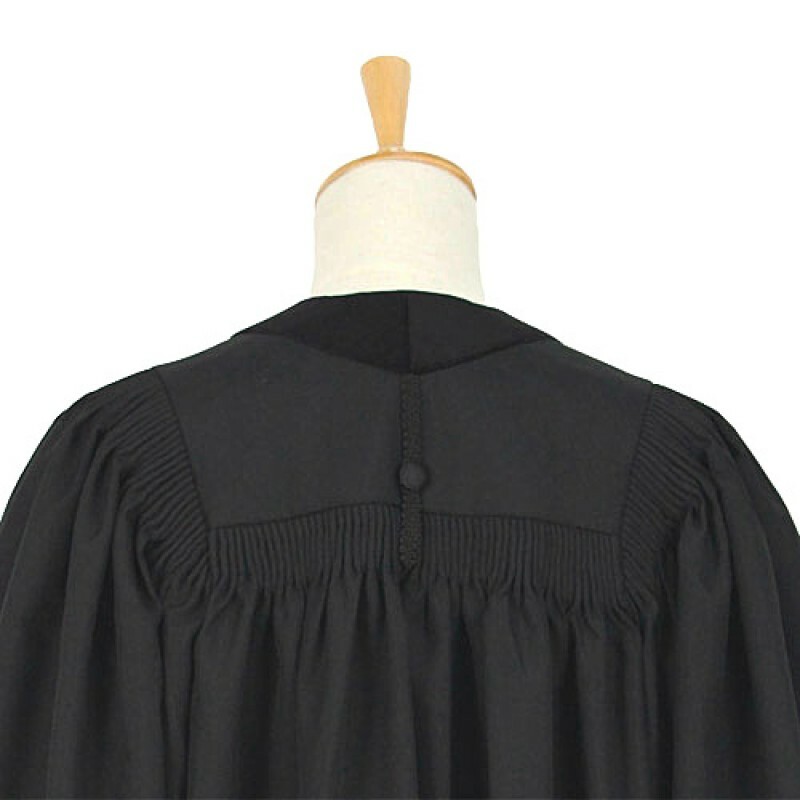 The robe is made of highest quality woven polyester fabric and finest workmanship, which Features plush black velvet panel with white piping and embroidery cross, full fluting across back and shoulder, bell sleeve with deep cuffs. What’s more, it is Free-wrinkle, light weight and durability. 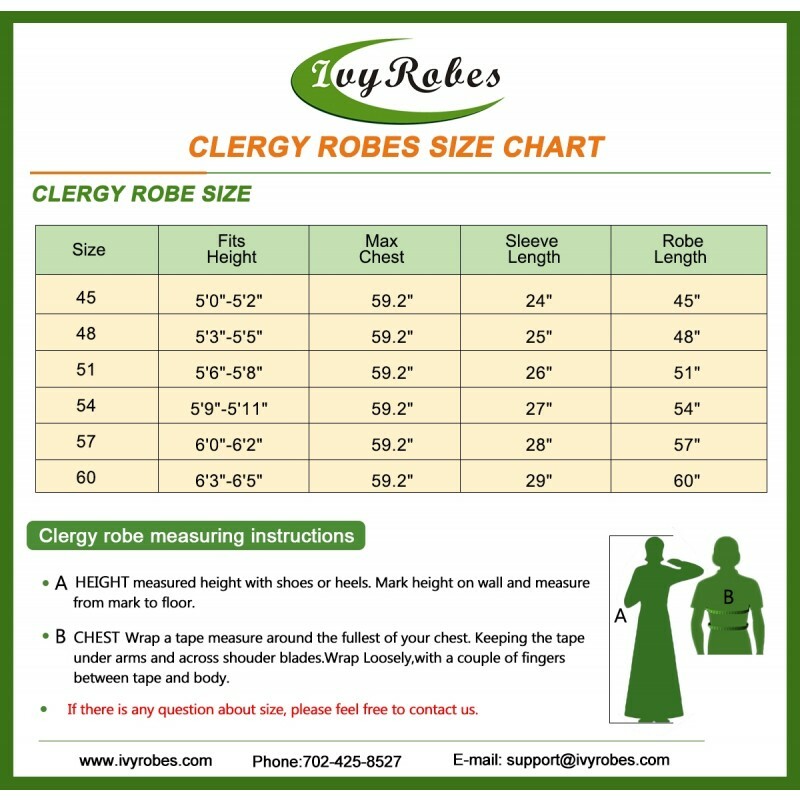 And we have 8 different sizes and two different colors for you. xpert craftsmanship takes time so purchase yours ahead of time. And you will save more money with more orders. 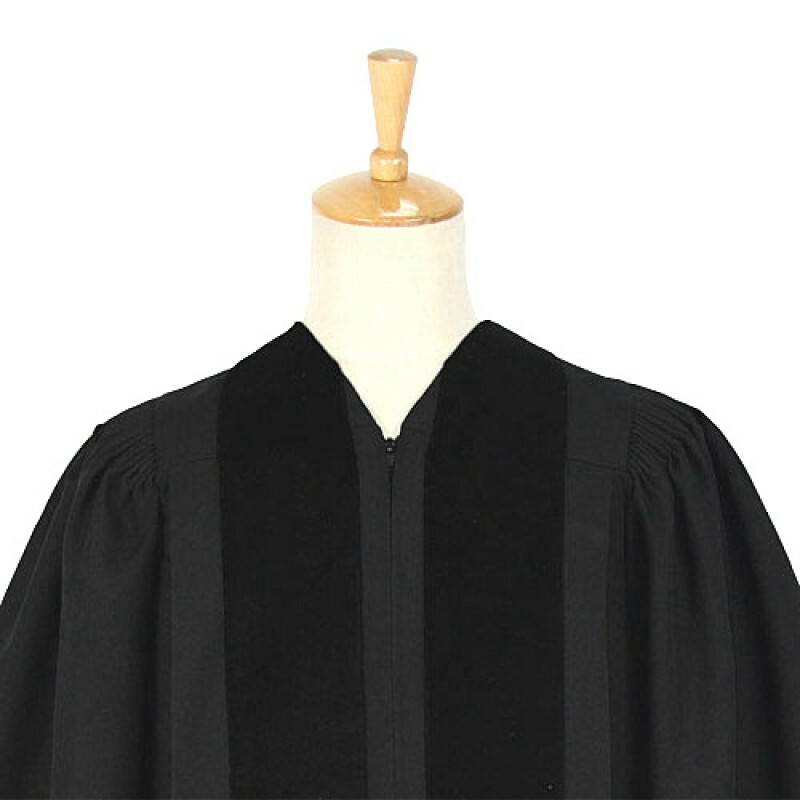 Just wanted you to know that I received my robe. It is perfect. Thank you so much.